Craving a movie star's eyebrows? 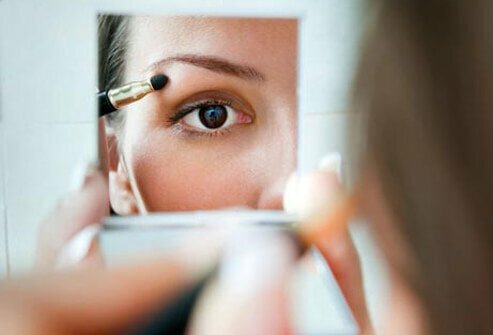 The perfect brow size and shape for your face depends on your own features. 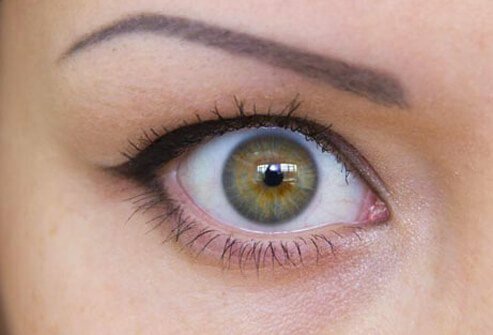 If your brow were divided into thirds, the thick end should start at the bridge of your nose. The arch should be around the middle. The thin end should go just past the corner of your eye. 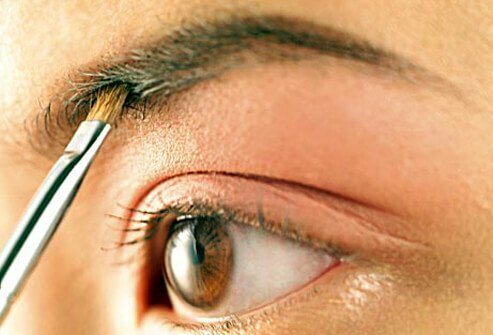 Fill in sparse brows with a powder, pencil, or gel. Go two shades lighter than your hair color if you’re brunette, two shades darker if you have pale blonde or silver hair. When in doubt, taupe works on almost everyone. Use tiny strokes over your arches and blend with a brow brush to remove extra color. The perfect brow is based on your unique bone structure. Using a stencil to draw on your brows may seem like it takes the guesswork out of shaping. But you may not like the results. A stenciled brow that's just a little bit off can make you look angry, surprised, older, or even lopsided. No thanks! Better to work with your natural brow shape. 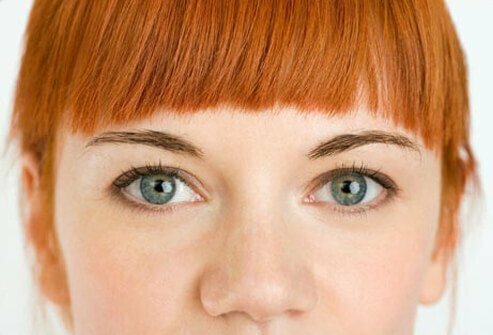 If you make a dramatic hair color change, your brows should change, too. You’ll want to see a professional colorist. Don't dye your brows at home, even if you have a really steady hand. Need a quick fix? Blend mascara or concealer into your brows to instantly go darker or lighter. Actress Camilla Belle proves you don't need whip-thin, sculpted brows to look modern. To get yours as lush as possible, don't pluck a single hair for three months. Then have them shaped professionally or pluck only the most obvious strays yourself. Use a brow filler for better definition. Rounded tip or pointy? Experts like a pointed, slanted tip, especially if you haven't plucked before. You can hold that shape easily and grab longer hairs. For those short, stubborn hairs, turn the tweezer at an angle and pull from the pointed edge. It's OK as long as you focus on the peach fuzz there and on your temples. Most of the real shaping should happen underneath to lift the brow up. Pluck too much off the top and you could get flat brows that make you look scowly. 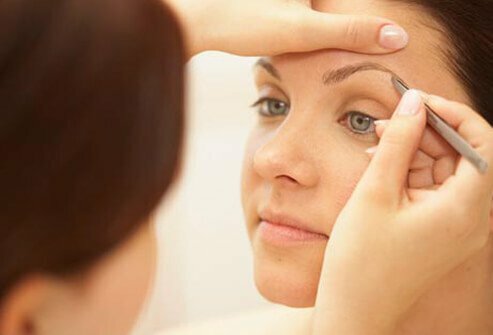 If you aren't sure about your own brow judgment, a salon specialist can find the best shape for your face. Snap a few photos for reference at home. To keep your new look fresh, lightly pluck new hair growth once a week. For best results, make another appointment four to six weeks later. Curled lashes make you look wide-eyed. Do it before you put on mascara. Use firm pressure but don't clamp down too hard. You don't want to pinch your skin, crease your lashes, or pull them out. You may get better results from curling in stages, moving out from the lash roots to the tips. 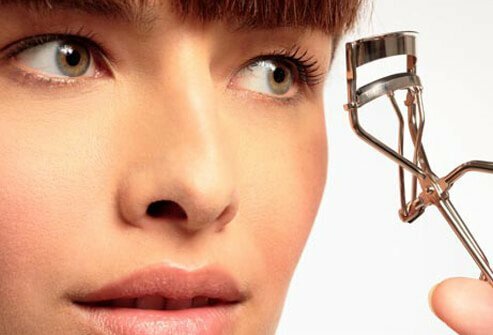 A corner lash curler can get to hard-to-reach outer ones. 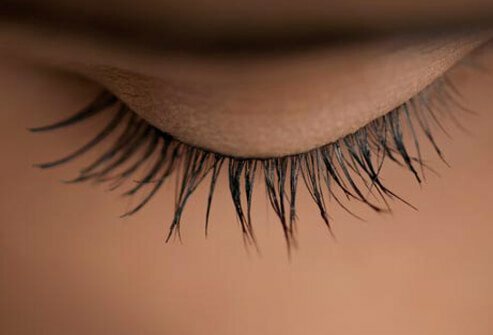 Your mascara matters for making lashes look fuller or longer. The brush matters, too! Rubber bristles coat even the tiniest lashes from root to tip, adding length. Plastic bristles give you a clean, natural-looking lash line. Fiber bristles build lash thickness and boost the fringe. If you like your mascara but want a new look, try using a different brush. You can buy them at beauty stores. You don't want eyes that look like scary spiders! Dip the brush in the tube and wipe it on a paper towel (not a tissue) to get rid of extra mascara. 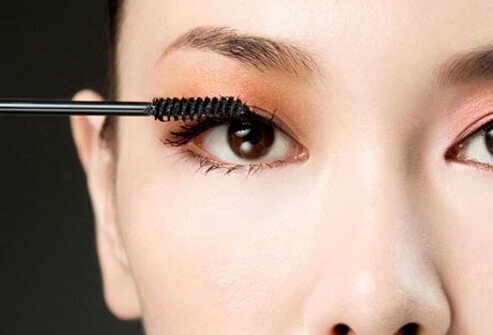 Another trick: Twirl a clean, disposable mascara wand through wet lashes. For easy, no-scrub cleanup, loosen the mascara with a warm, damp washcloth. Press it against your closed eyes. Next, dip a cotton pad into a makeup remover for sensitive eyes. Wipe the pad downward on your lashes a few times. 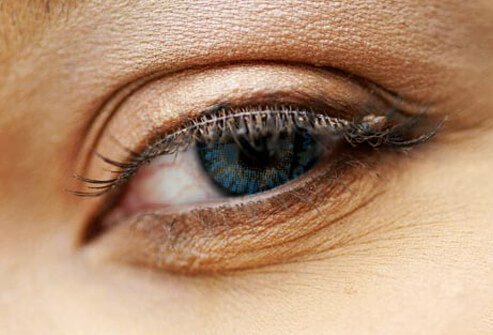 By the end of the day, do you get flecks of mascara on your cheeks? Look for a "tubing" mascara. Tubing formulas tend not to flake because they encase lashes. When you remove the mascara with warm water, it slides off as complete tubes. 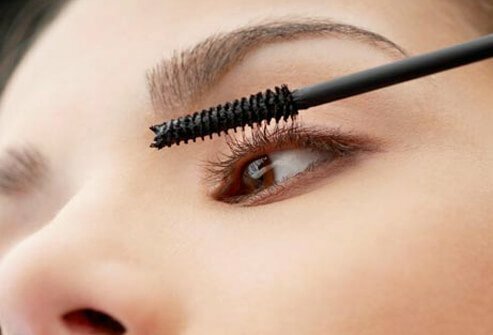 Expert tip: Set your regular mascara with a tubing kind. False lashes equal pure Hollywood glamour, but they can be tricky to master. They come in full strips and individual lashes. 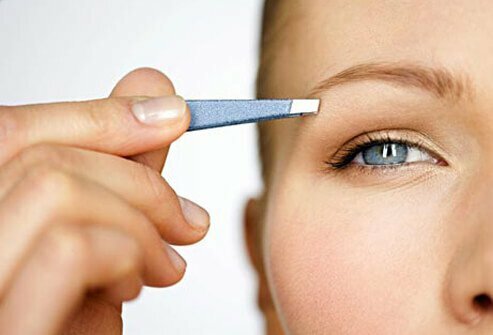 Hold the lash with a pair of tweezers while you put a dot of glue on your upper eyelid. Let the glue thicken, and then use the tweezers to guide the lash to your lid. If you have dark skin, try a dark-tone glue made for brown or black lashes. Short on patience -- or time? 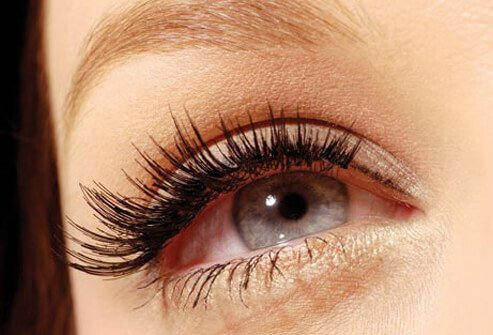 Lash extensions can give you a long, full, lush fringe for two to three weeks. The catch is you can't wear mascara. (You might not want to anyway.) And you will probably have to keep them completely dry. So get a pair of swim goggles to wear while you shower or wash your hair. No kidding!